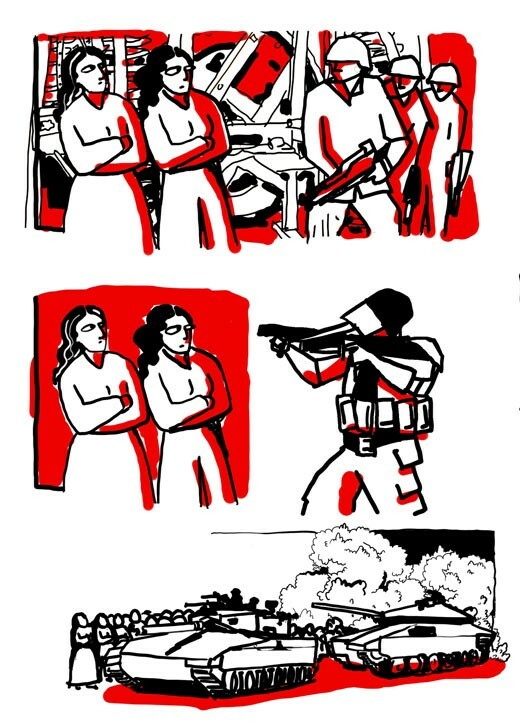 As a Palestinian graphic novelist, I’m always on the lookout for new artists doing similar thematic work to mine. Comics can often feel like a bit of a “boy’s club,” and on top of that, alternative comics expos that I have attended have always been overwhelmingly white. That’s why I have become very interested (by which I mean slightly obsessed) in finding other artists like myself—people often on the outside—and lifting them up. So, about a month ago, I created a blog dedicated entirely to the work of female and non-binary comics artists with roots in the Middle East, North Africa and South Asia. 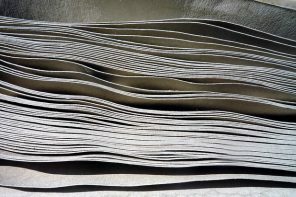 I called the blog BIGMOUTH, and have been using it to post small profiles of and interviews with artists I come across. The list below features some profiles that have been posted on the blog, and some that have not. Though the artists here come from a wide range of ethnic, cultural, linguistic and religious backgrounds, their work is connected by common thematic threads addressing issues and intersections of orientalism, imperialism, Islamophobia, war, revolution, gender, sexuality and diaspora. Zahra Al-Mahdi is an illustrator and comics artist based in Kuwait. Her debut graphic novel, We, The Borrowed, is an absurdist, bilingual and bravely political work exploring the complexities of language, philosophy and bureaucracy. 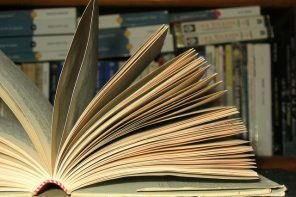 While she initially self-published the book, it was recently picked up by Kuwaiti publishing house Dar al Farasha. 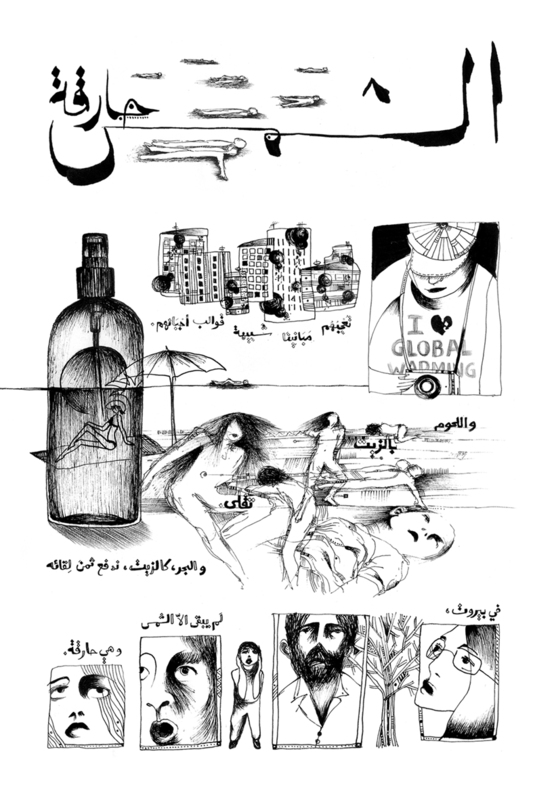 Her shorter comics have also been published on Jaffat el Aqlam, an e-magazine for Middle Eastern writers and artists. One thing that makes Al-Mahdi’s work stand out is her minimal use of language. 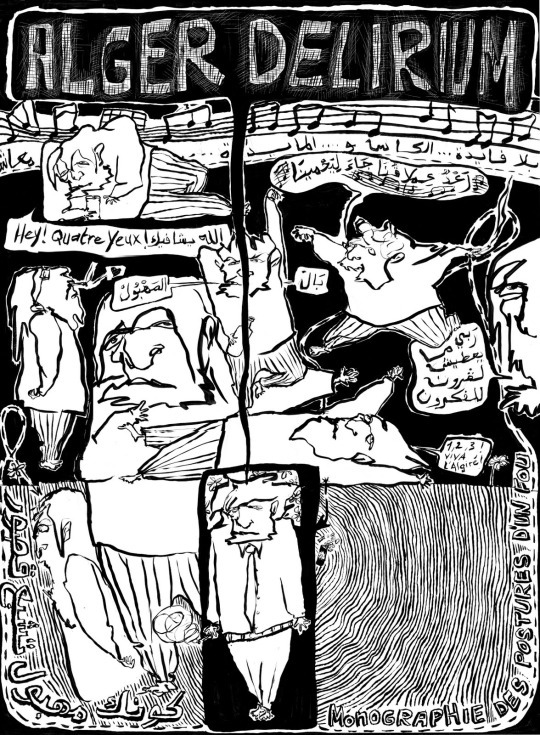 She often creates comics using no words at all, or with very little language (both Arabic and English) supplemented by symbols in the speech bubbles. 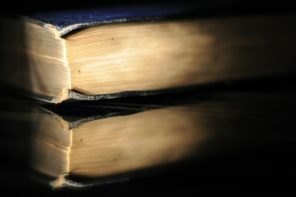 This means she has managed to create work that, while utilizing language to enhance her storytelling, is not dependent on it to get the point across. Read my interview with Zahra about her work here. 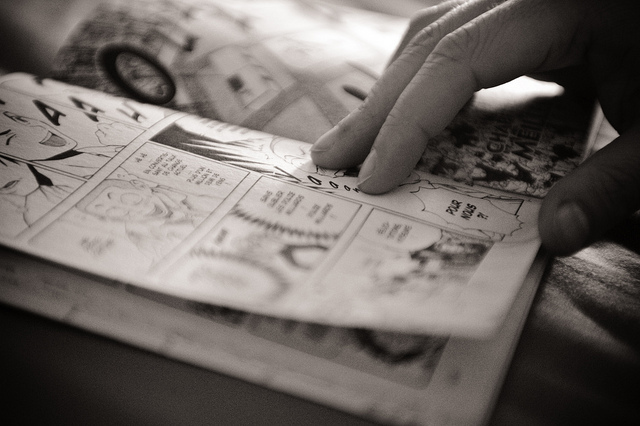 Lena Merhej is an award-winning Lebanese illustrator and editor of the tri-lingual comics anthology Samandal. She has created an enormous body of work over the years, including a graphic novel entitled Mrabba wa Laban (Jam and Yogurt, or how my mother became Lebanese) which details her childhood growing up amidst war and civil unrest, and her relationship to her mother. 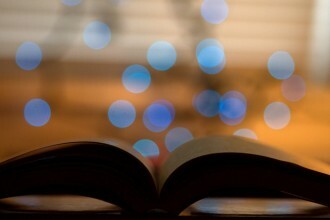 Her work is done primarily in Arabic, and occasionally English and French. 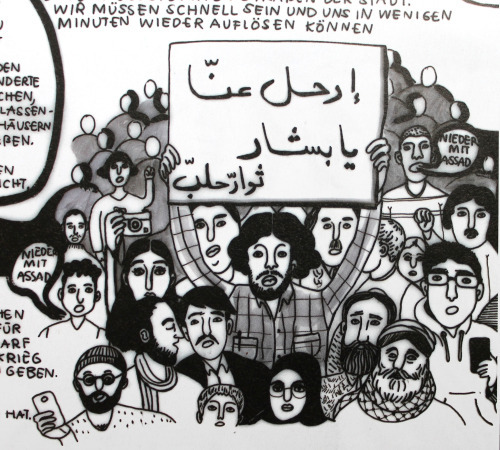 Her first comic, Anas, which tells the story of a Syrian refugee, was published in the German magazine Zenith. 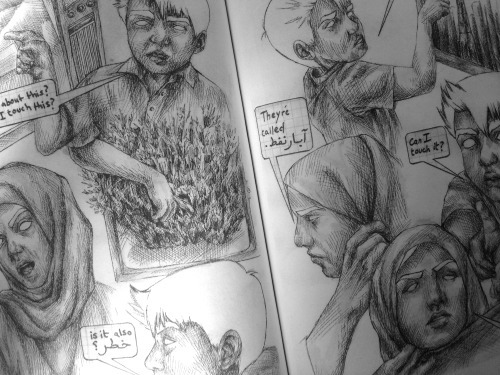 Her illustration style–mostly black and white, rich with a variety of patterns and textures–lends itself very well to comics, and from the excerpts on her website, Anas looks to be a chilling look at the Syrian revolution and the impact on its people. Nawel Louerrad is an Algerian comics artist. Written primarily in French (occasionally with Arabic mixed in), her work has been published in anthologies like Samandal and the online magazine Words Without Borders (translated into English). She is the author and illustrator of a number of graphic novels, one of which is Les vêpres algériennes, which deals with issues of history, memory and identity in its exploration of the Algerian independence struggle and revolution. Louerrad’s figures are dark, shadowy and surreal. Her work often deals with scenes of everyday life in Algeria, but rendered absurd and given an edge of dark humor. Sabba Khan is a second-generation Pakistani Muslim living in the U.K. Her work often explores the complexities and contradictions of living in diaspora, dealing with themes of “belonging, memory, and identity” as she states in her bio. Khan is a designer and illustrator, and has created a number of short comics. Looking at her work, it is clear from her bare lines and minimalistic layouts that that her background as a designer has impacted her artwork. 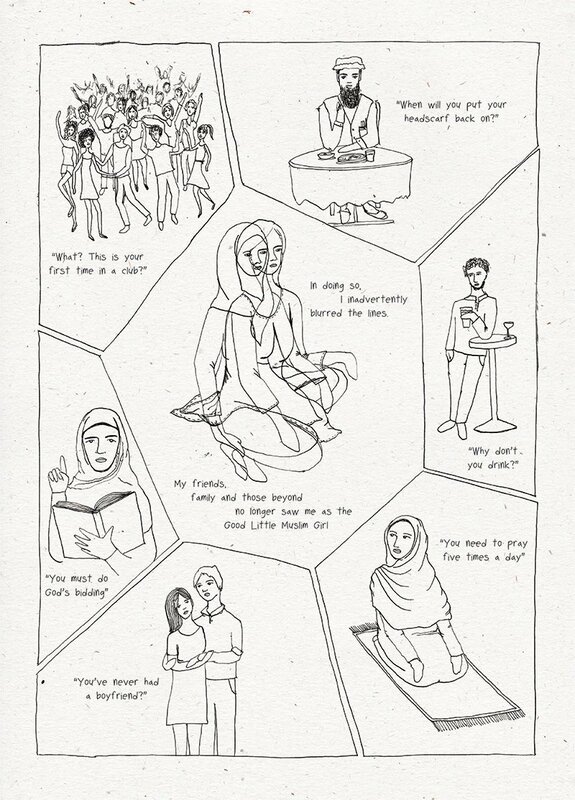 One of her short comics, “Identity,” was published in One Beat Zine’s Identity anthology, which centered the writing and drawing of female-identified creatives. Manjit Thapp is a U.K.-based illustrator. 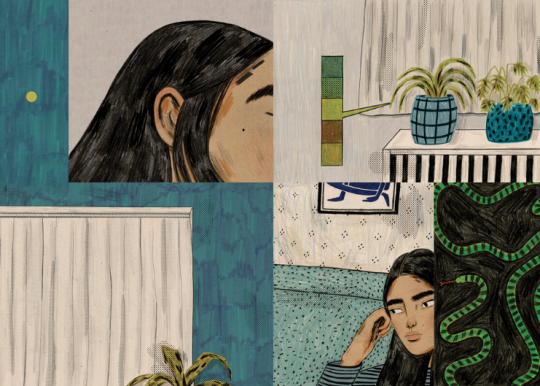 She has created a number of short comics and zines in addition to her other illustration work, and her unique, minimalistic aesthetic sensibility makes her work stand out. She does not use gutters (spacing between her frames) and she often makes use of negative space, contrast and fragmented panels in her work. Thapp’s short comics often function as extended self-portraits, dealing with identity and mental health. One, entitled “Sad,” addresses her struggle with seasonal affective disorder, and uses imagery to explore the impact of the seasons on her psyche. “Silent Comic” is entirely wordless and, again, explores mood through images and a limited, muted color palette. Jana Trablousi is a Lebanese illustrator and comics maker, and another frequent Samandal contributor. She draws editorial illustrations and political comics for newspapers, has illustrated children’s books, and has created a number of longer-form comic stories. Her work is primarily in Arabic and French. Her comics deal with realities facing Lebanese people every day, from war to politics, to the environment and current events. Her pages shift effortlessly from sprawling cityscapes to intimate close-ups. Often, her layouts themselves will dissolve, bringing the story into a surreal world all its own. Leila is a Chicago-born, Palestinian author and artist. Her debut graphic novel, Baddawi, was shortlisted for the Palestine Book Awards. Leila's creative work primarily explores issues related to diaspora, refugees, history, memory, and borders. If you want to find out about more comic artists with roots in the MESA/MENA regions, follow Leila’s blog, BIGMOUTH on Tumblr and Twitter @femmekbir for weekly blog posts, interviews, and more!